This page provides information on biodiversity research projects. 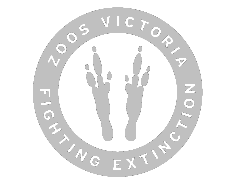 If you are aware of a current research program or you are conducting research in Victoria or adjoining areas that involves or has implications for threatened species, communities or their habitats, please submit your information on the share a project page. Activities: Land-use change has severely fragmented Australia's natural landscapes, and remaining habitat fragments are at risk from increases in fire frequency and intensity. Together, fire and fragmentation pose a major threat to biodiversity. Our project addresses two key knowledge gaps: (1) the combined effects of fire and fragmentation on animal movement (2) the implications of current and future fire regimes for native animal populations. We're using the fragmented stringybark woodland of southwest Victoria and southeast South Australia as a study system. Our approach combines field surveys of reptiles, mammals and beetles with innovative genomic techniques and a powerful fire simulation model. We hope our results will help land managers to sustain biodiversity in fire-prone fragmented landscapes. Project: Managing the potential impacts from development and urbanisation on the threatened Brush-tailed Phascogale (Phascogale tapoatafa), in the modified landscape of central Victoria. Activities: This research will investigate effective nestbox designs, barriers that impede dispersal, impact of fire and mitigation of other threats. Body conducting research: William Terry, Southern Cross University PhD. Activities: This research program is collecting information on colonial-nesting waterbird breeding and movements across the Murray-Darling Basin. It is using GPS satellite tracking of straw-necked ibis, royal spoonbills and Australian white ibis to determine movement and habitat use patterns over time. It is also conducting on-ground field surveys and deploying motion-sensing and time-lapse cameras on nests in breeding colonies to quantify survival rates, predation and bird behaviour. Body conducting research: CSIRO Land and Water, University of NSW and University of Canberra. Funded by the Commonwealth Environmental Water Office through the Murray-Darling Basin Environmental Water Knowledge and Research Project (MDB EWKR). Activities: Community members can contribute to a survey that will collect stories and anecdotes that will help to build a national picture of the kinds of ecological changes that have been occurring across the country over the past 10-20 years, or more. Participants would need to be able to select a natural area (e.g. a local region or farm, a Nature Reserve, urban bushland etc.) that you have been familiar with for at least the last 10 years. Body conducting research: CSIRO Land and Water and the Department of the Environment and Energy. Body conducting research: (1) Kath Adriaanse, University of Melbourne (2) Lauren Halstead, Deakin University (3) Rachel Taylor, University of Melbourne. Location: Victoria & SE Australia. Activities: Development of a tool to predict the distribution of plants and animals in the past. This information helps decisions to be made about where we protect habitat, and where the best prospects for habitat restoration and rehabilitation are. Relevant threatened species: leatherback turtle, loggerhead turtle, flatback turtle, green turtle, olive ridley turtle and hawksbill turtle. The project aims to determine what drives the occurrence of sea turtles off the coast of southern Australia. Body conducting research: The project is being developed by Deakin University’s Professor Graeme Hays and Dr Margie Morrice. They are collaborating with southern Australian marine fauna researchers and database managers. Community observations welcome. Relevant threatened species: Forest Fauna. The sites (each 1 hectare) were established in 2006. Location:South West Victoria (Cape Otway to Eyre Peninsula, South Australia), November to May. Project: Eastern Grey Kangaroo research - this project commenced in 2004 and is still active. Relevant threatened species: This project not only has implications for the ecology of Kangaroo populations (which are not threatened) but also the impact they have on ecological processes and implications for many species of threatened flora and fauna. Body conducting research: Post-graduate students and academic staff from the Department of Zoology, The University of Melbourne. Further information: ANGAIR (Anglesea, Aireys Inlet Society for the protection of flora and fauna). Contact for further information: Pam Whiteley 0400 119 301 Faculty of Veterinary Science, The University of Melbourne, Werribee.